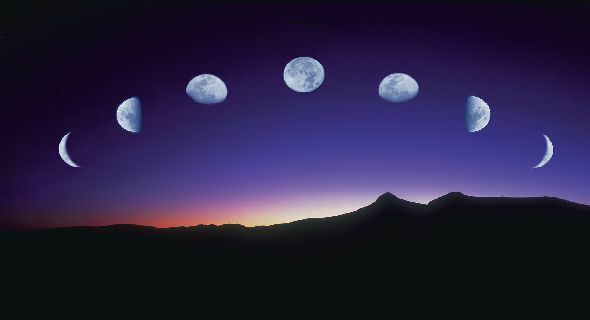 Each month, the Moon appears to grow to a Full Moon in the sky then it shrinks back again. When the Moon is New, no one can see it from anywhere on the Earth as the Moon at this time is very close to the Sun which makes it lost in the Sun’s glare. Already, the Moon has a bright side and a dark side as the Sun shines on the Moon such as the Earth. Half of the Moon always has a bright side a day and half of the Moon is in the shadow of its “night” side. So, when the moon is new, it will still look like the black circle as its bright side will be facing the sun and its dark side will be facing the earth. That’s why, we do not see the moon at the first days of the month. 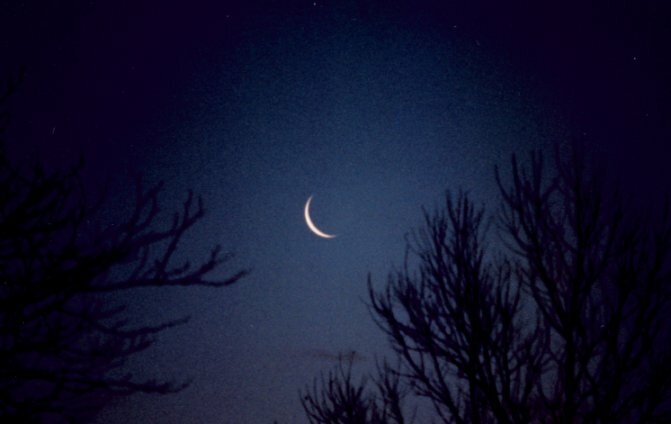 The moon moves in its orbit as usual which makes the “crescent” phase to appear bright in the sky after some days of the new moon. 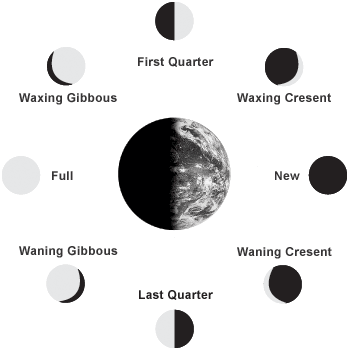 As the moon continues to move in its orbit, the crescent will increase and become thicker “waxing”. After a week, a half of the bright side could be visible with a half of the dark side and this is called “The first quarter”. After the first quarter phase, more than half of the bright side will appear in the sky and this is called “gibbous”. At mid-month, the dark side of the moon will be facing the sun while the bright side of the moon will appear bright in the sky as a “Full moon”. 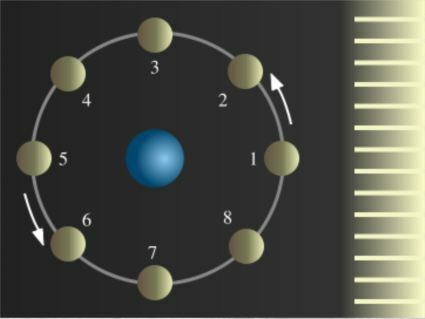 After the full moon, the moon will still move in its orbit and it will become a little thinner in phase which is called “Waning”. 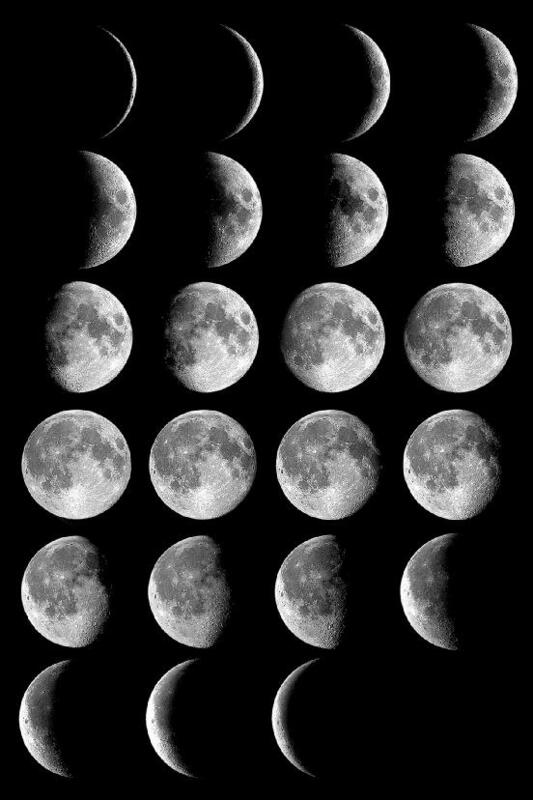 After a week of the full moon, it will become a half-moon again called “The last quarter”, then “Crescent” and a “New moon” again. 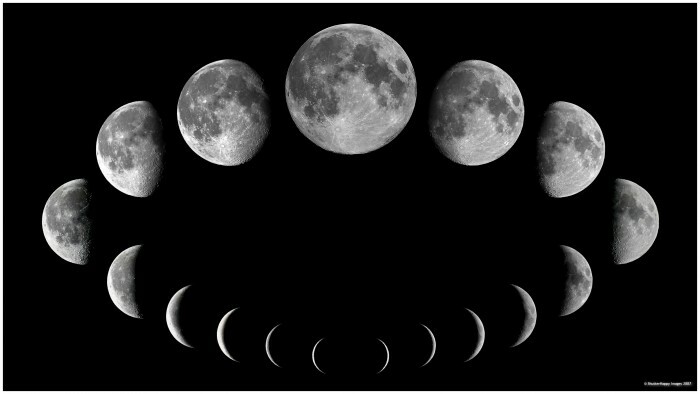 The Moon has phases as it moves in its orbit around the Earth, which causes the portion which we see illuminated to change in the sky. 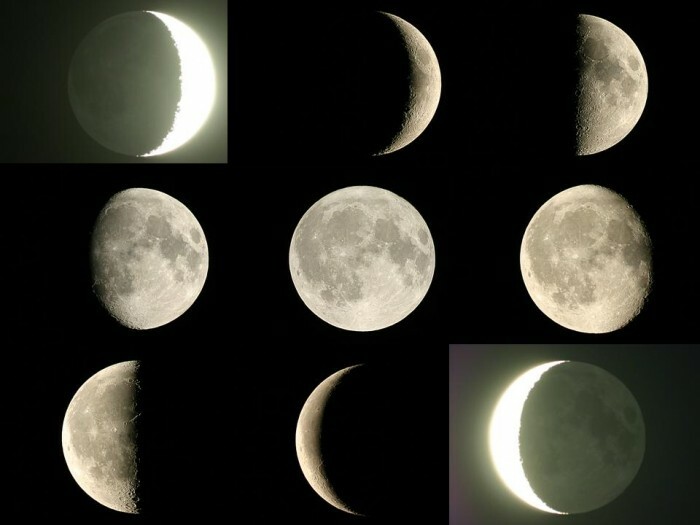 The moon takes 29.5 days from new moon till new moon.